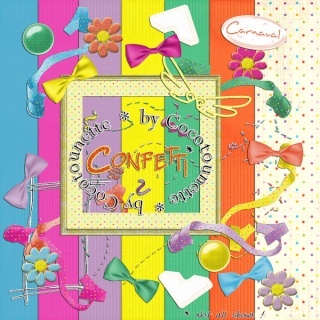 Pour mardi-gras, Cocotounette vous offre son kit Confetti haut en coulour !! vous le retrouverez sur son blog. For Tuesday-fat, Cocotounette offers you its kit high Piece of confetti to coulour!! You will find it on her blog.